Be ready to take on whatever comes next. 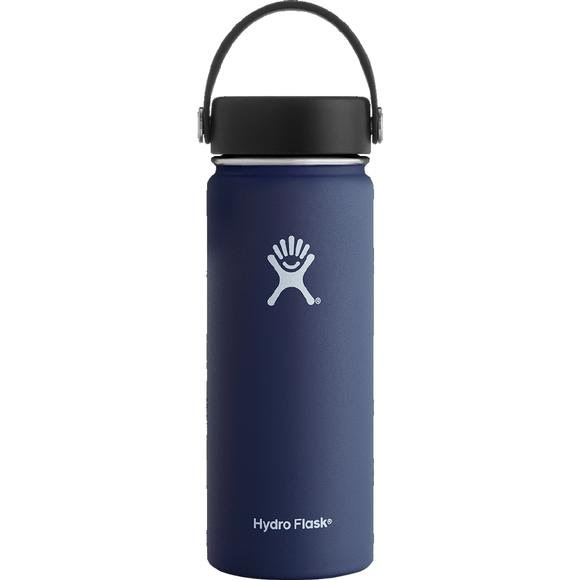 Hydro Flask's wide mouth top makes it simple to throw some ice into your beverage and hit the road with this easy to carry bottle size. Perfect for morning hikes, afternoon ski lessons, or evenings by the campfire, their 18 oz Wide Mouth bottle keeps your ice water ice cold for up to 24 hours or piping hot up to 12. Be ready to take on whatever comes next. Hydro Flask &apos;s wide mouth top makes it simple to throw some ice into your beverage and hit the road with this easy to carry bottle size. Perfect for morning hikes, afternoon ski lessons, or evenings by the campfire, their 18 oz Wide Mouth bottle keeps your ice water ice cold for up to 24 hours or piping hot up to 12. You can also pair it with our handy Straw Lid and Hydro Flip™ Lid.